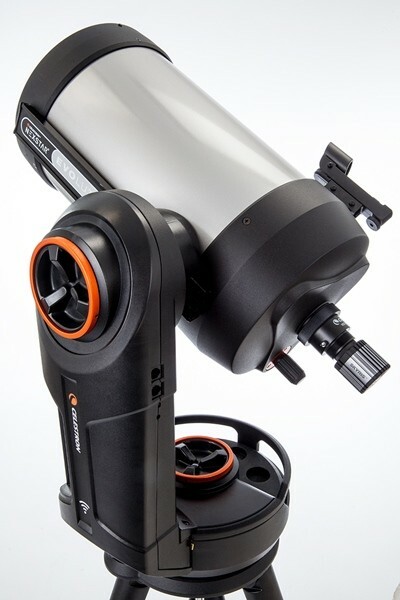 Explore the universe with the brand new Celestron Nexstar Evolution 8 Telescope with the free Celestron Skyportal app for iOS and Andriod operating systems. 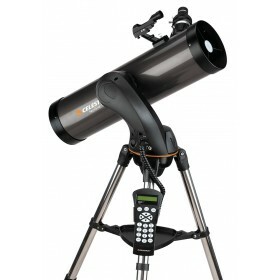 Equipped with a computerised GoTo Mount with high-performance brass worm gears and motors for improved tracking accuracy and reduced gear backlash. 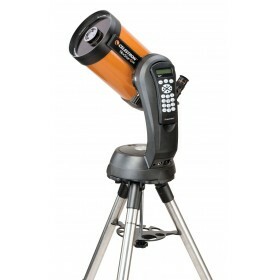 In this new Celestron Nexstar Evolution 8 inch model, a built in rechargeable battery for up to 10 hours of observation is included. This means no more stocking up on multiple AA batteries! 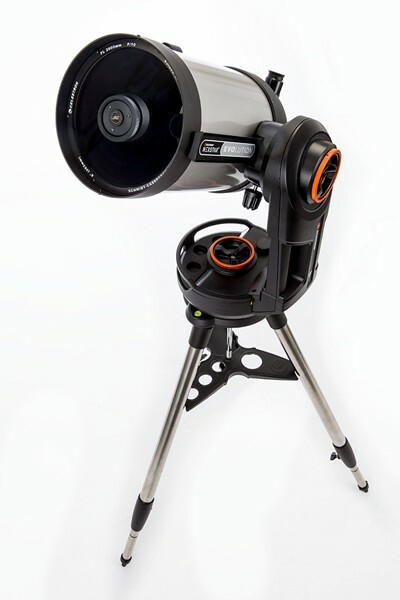 "THIS ROBOTIC WIFI TELESCOPE IS THE COOLEST APP-CESSORY IN THE GALAXY"
Celestron’s signature telescopes reach a new level with NexStar Evolution 8, the first Schmidt-Cassegrain telescope with integrated WiFi. 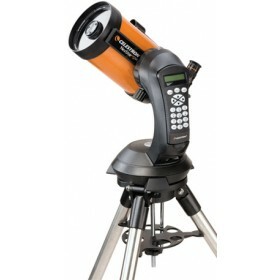 Leave your hand control behind and slew to all the best celestial objects with a tap of your smartphone or tablet. Connect your device to NexStar Evolution’s built-in wireless network, and explore the universe with the Celestron mobile app for iOS and Android. Setting up your NexStar Evolution is quick and painless with large, ergonomic handles. The all-metal tripod features a metal accessory tray with indentations for storing and carrying the tripod. During setup, leg etchings help you achieve a level, uniform height for your telescope. 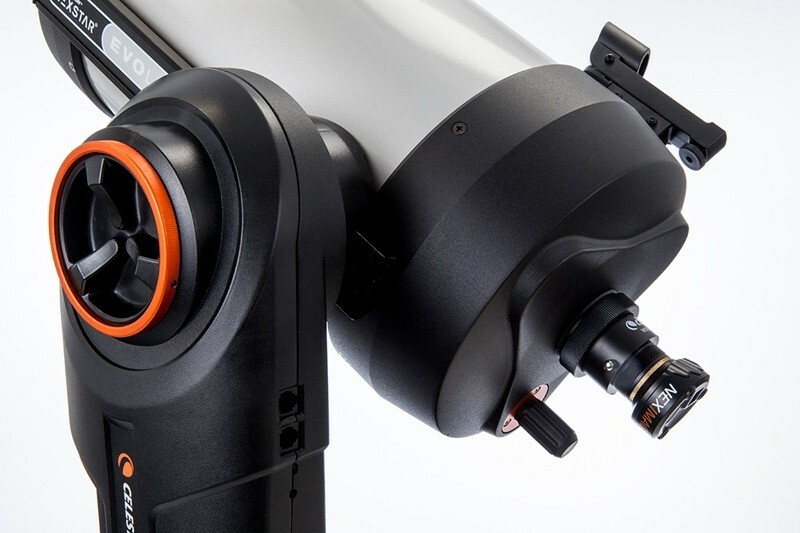 Manual clutches in both altitude and azimuth offer greater flexibility to manually point the telescope when powered off. 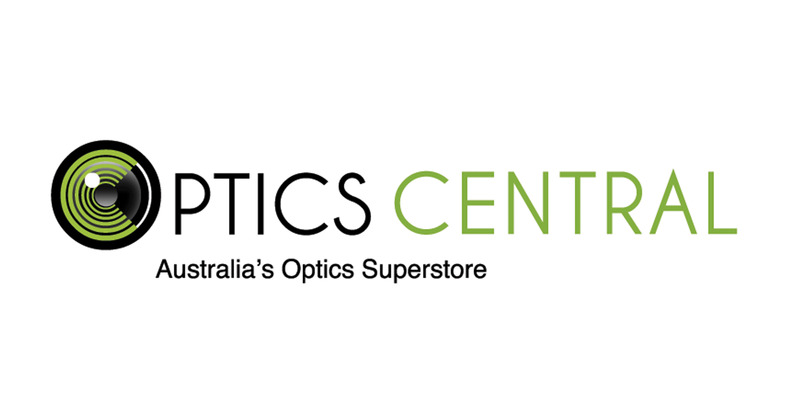 Store up to 7 eyepieces in 2 accessory trays, one with an adjustable red LED illuminator. 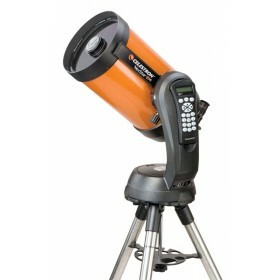 If you’re interested in astroimaging, the 8-inch NexStar Evolution is an excellent, affordable way to get started. 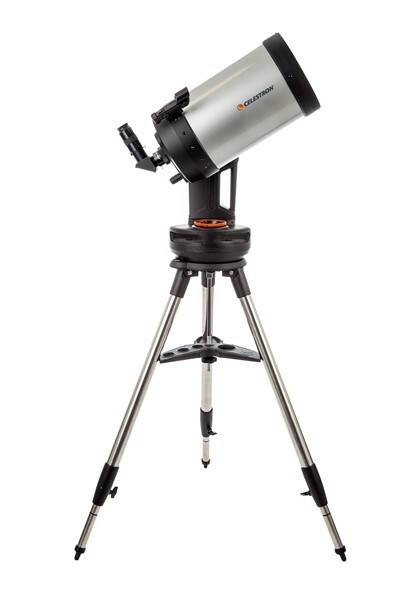 It’s the only fork-mounted telescope in its price range that offers brass worm gears, along with improved motors. 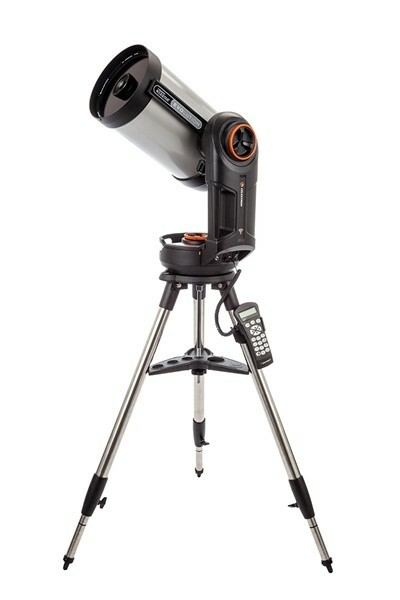 NexStar Evolution’s tracking accuracy is so impressive, you can capture images of deep-sky objects like the Orion Nebula by simply attaching your DSLR camera. As you progress in the hobby of astroimaging, you can add our Pro HD Wedge to achieve longer exposures for more detailed astrophotos.